Starring: Bryan Cranston, Koyu Rankin, Edward Norton, Bob Balaban, Bill Murray, Jeff Goldblum, Kunichi Nomura, Akira Takayama, Greta Gerwig, Frances McDormand, Akira Ito, Scarlett Johansson, Harvey Keitel, F. Murray Abraham, Yoko Ono, Tilda Swinton, Ken Watanabe, Fisher Stevens, Liev Schreiber, Courtney B. Vance. In recent years, Wes Anderson has seemingly surpassed Tim Burton as cinema’s most popular and recognisable visual stylist. With every new film he only becomes more and more Wes Anderson. His latest offering, Isle of Dogs, is possibly his most imaginative film yet and sees him returning to the painstaking medium of stop-motion animation for the first time since Fantastic Mr. Fox. Animation studio Pixar has produced more than its fair share of beloved movies but 2003’s Finding Nemo undoubtedly sits close to the top of their very impressive pile. So it was inevitable that we would return to the Pacific Ocean for another installment, and with Dory, the lovable blue tang with the five-second memory, being arguably their most popular character it made sense that she would play a starring role. The only surprise then is that it took 13 years for us to get there. But Pixar’s track record is not nearly as impressive when it comes to sequels. With the exception of Toy Story 2 and 3, none of the others have really hit the mark. Pixar is undoubtedly at their best when they are being original and thinking outside the box, but with a title that suggests much the same premise as the first film, can Finding Dory be more than just a simple retread? Disney has always had a knack for squeezing every last dollar out of their intellectual property. Their most recent endeavour has been to recreate their classic animations as live action films for a new generation. We’ve had Maleficent (a reimagining of Sleeping Beauty), Cinderella and now The Jungle Book. But to call Jon Favreau’s film live action would seem a bit of a stretch when Mowgli himself is the only live element on screen. With his screenplays for Being John Malkovich, Eternal Sunshine of the Spotless Mind and Adaptation, and his directorial debut Synecdoche New York, Charlie Kauffman has shown himself to be one of the cinema’s truly unique voices. He thinks outside the box. But where his experimentation is usually at the narrative level, with Anomalisa, which he has written and co-directed with Duke Johnson, the experimentation is stylistic. This sombre tale of alienation and despair is told through stop motion puppetry. 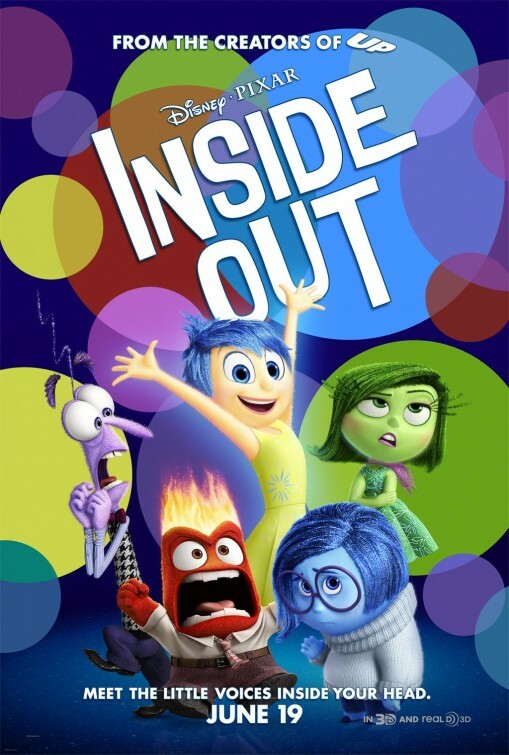 2015 was a unique year for a number of reasons, one of them being that we got two Pixar films. Breaking their one film per year pattern, with the release of The Good Dinosaur, the studio’s 16th feature animation, 2015 became the first two-Pixar-film year. But rather than this being a bonus gift just in time for the holidays, it is the result of a troubled production that saw the film’s release pushed back from 2013, the original director replaced and a screenplay seemingly written by committee. As such, after the wonderfully imaginative Inside Out, The Good Dinosaur is in every way Pixar’s second film of 2015. In the last twenty years, no Hollywood studio has been as consistently original and imaginative as Pixar. In an era when kid’s movies are so often dumbed down and seem guided primarily by merchandising departments, John Lasseter and his brains trust at Pixar allow themselves to be guided first and foremost by ideas. Their latest offering, Pete Docter (Up, Monsters Inc) and Ronaldo Del Carmen’s Inside Out, arguably represents the zenith of Pixar’s bold originality, taking us inside the mind of a young girl.